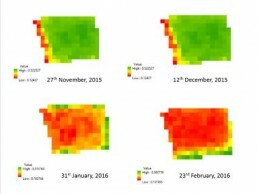 SkyMap Global can help classify crops for different seasons and for different crops grown over seasons in farm lands, which can further be used for crop monitoring and crop growth over seasons. 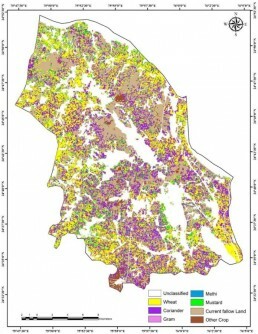 Understand the status of crops cultivated and uncultivated area for planning, and pre-harvest preparatory actions during worst weather conditions, sudden pest attacks, and making premium policies pertaining to crop. 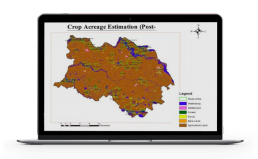 Forcast crop yield and estimation production of identified crop in a region. Because of the demand for crop insurance, which increases the need for field level yield statistics, these predictions warn decision makers about potential reduction in crop yields and allow timely import and export decisions. 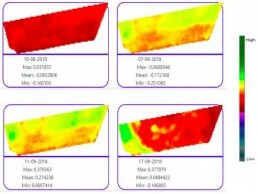 Using our Agritrekk Application, facilitate real-time crop vegetation index monitoring, to track positive and negative dynamics of crop development, and trend of their growth. Now you can Monitor your entire agriculture farm, and reduce labour intensive monitoring work. Track which farmer is performing well, or which farmland is going through insecticide. SkyMap Global provides disaster loss estimation area, and fixed compensation based on damaged area to help you make the best decisions. SkyMap Global provides daily monitoring solutions from sowing to harvest. 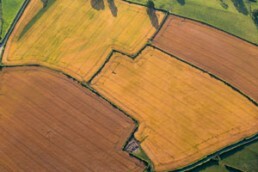 Using remote sensing techniques, understand when the crop is sown through the harvesting, and know which farm plot are double or triple crop.